♥ NAPHYRA ♥: A mug as a gift..?? I fell in love for the first time when I was dropping by her blog. Emila Yusof. She is a Freelance Illustrator and a Graphic Designer. Also the owner of Littleshop. Hmm.. why I write about her? Because I really adore her artwork! Guess what? I just bought her new design mug! Don't you think they're adorable? They're perfect as a gift to someone you loved. Or maybe as your wedding favors..?? Hurry up! 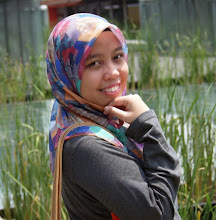 Grab yours too..
For further info, do visit her blog here or her shop here. i jatuh cinta first time tgk..
siap beli lak tuhh.. haha! kalo nak wat wedding favor, macam mahal la pulak. bole dpt diskaun kalo beli in bulk. Bush, aku menunggu this mug for my next befday gift from u! howyeahhh..
haha! birthday ko lambat lagiii.. lalalala~! !